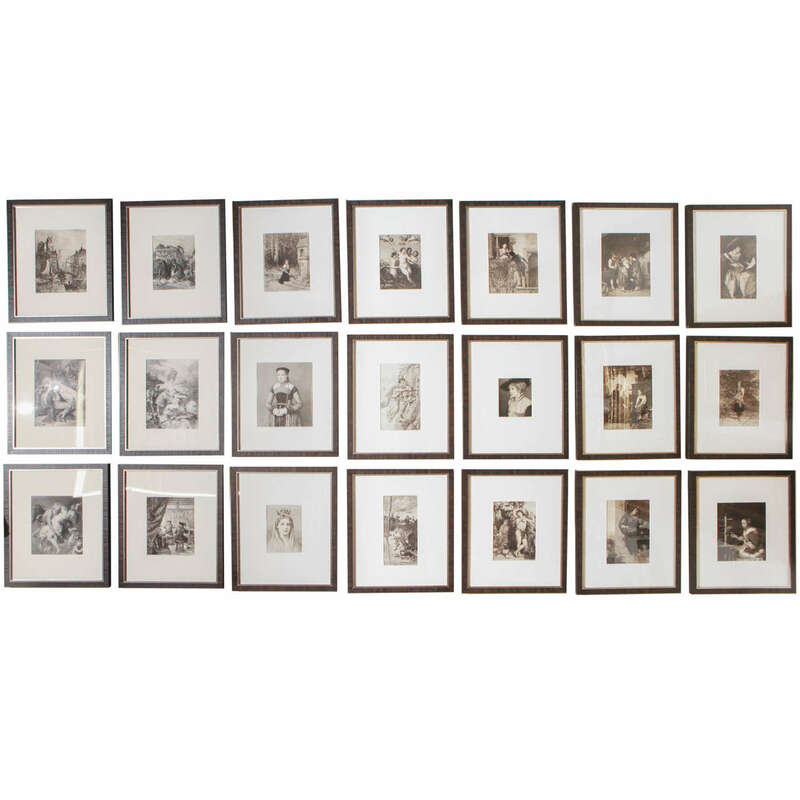 A set of 40 framed German art plate engravings. 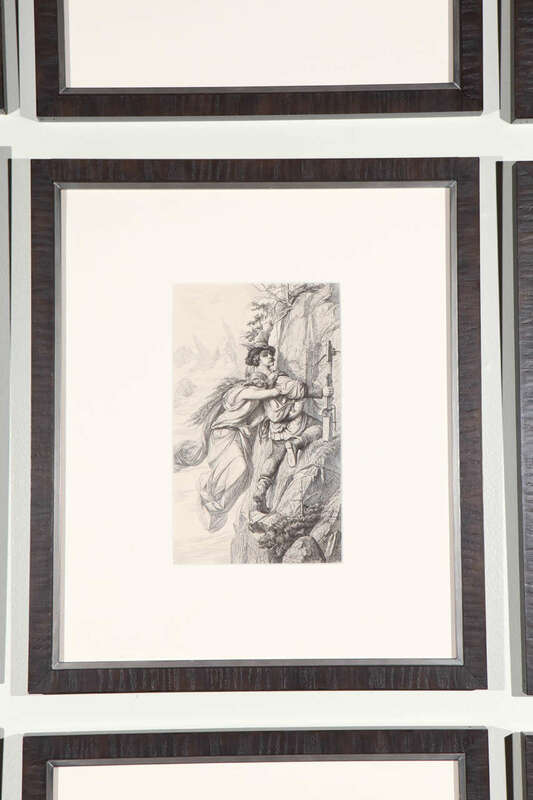 These came from a two volume set of Meisterwerke of German Art by Carl Thonet Jutsum published by George Barrie (Boston, New York and Philadephia) in 1883-34. 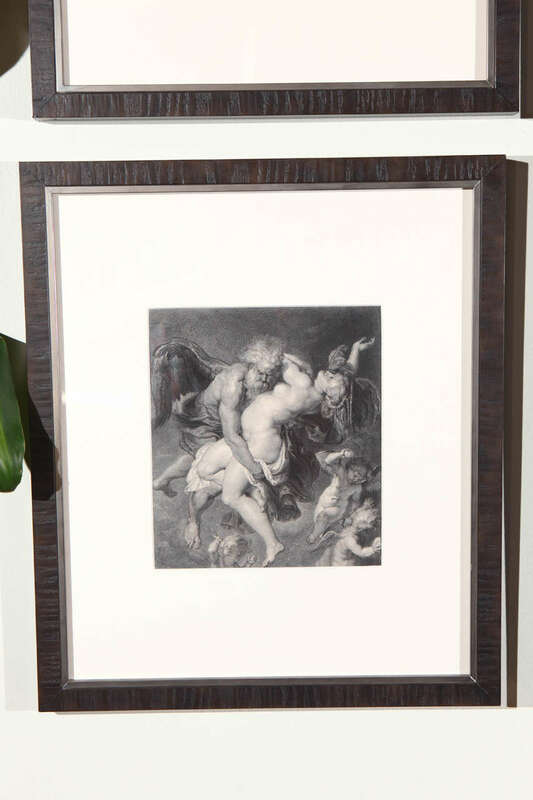 Each engraving is expertly matted, in UV protected glass and wood frame. 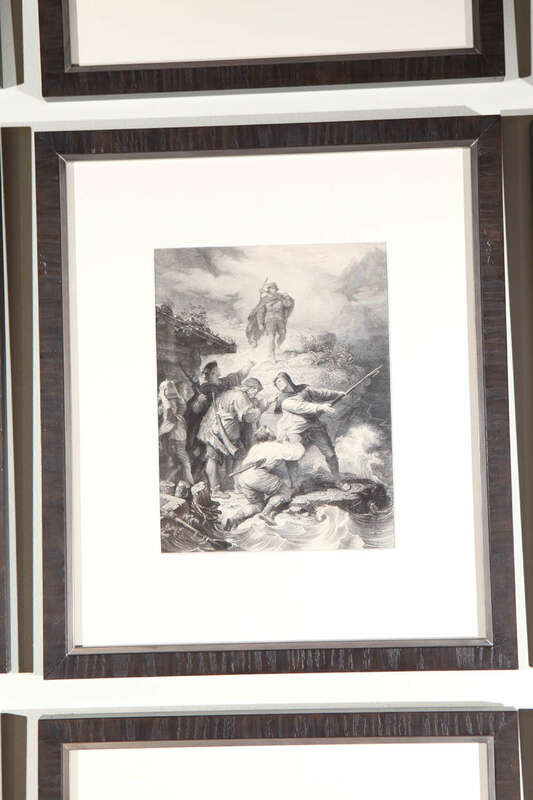 Although only 21 plates are featured, the listing is for 40 framed engravings. 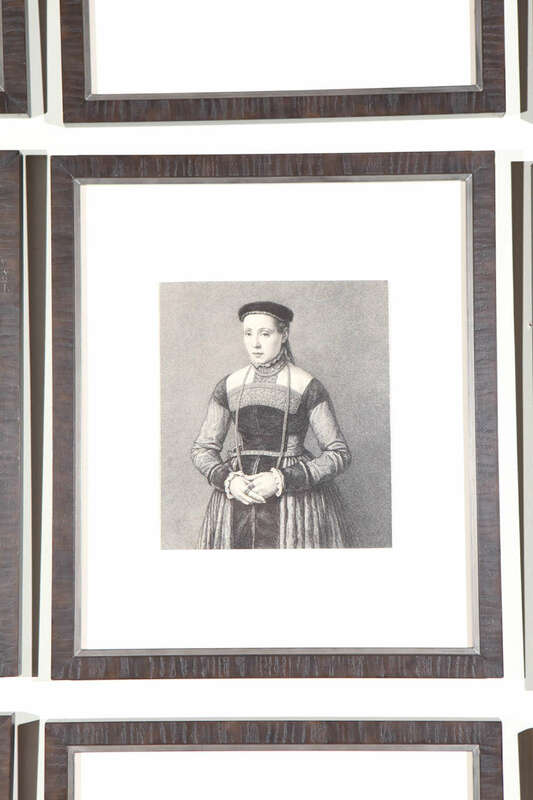 Engraved plates vary in size but frames are 14 1/2" wide x 17" tall x 3/4" deep. Two mixed-media portraits of women. Pencil and charcoal. 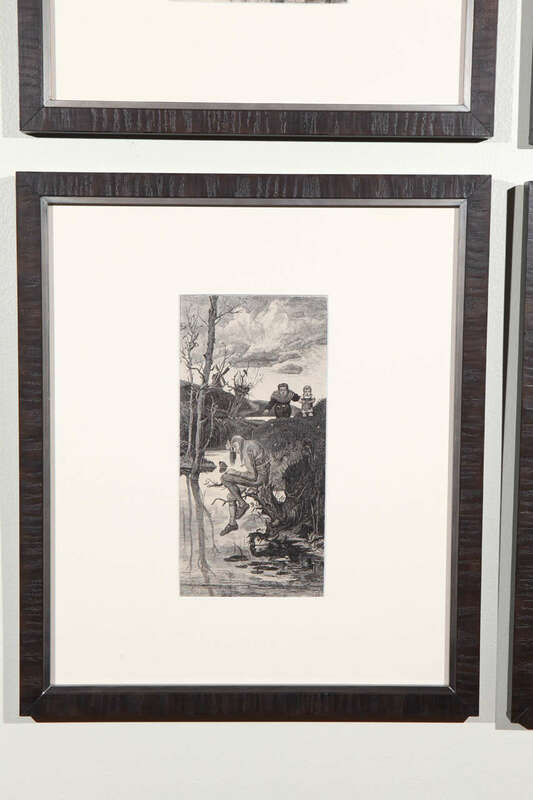 The frames are 19th century but the art work is signed Peter Nickel 1987. 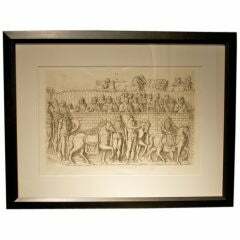 To lithographs of flowers by Allen Gunn. Each signed, dated, and numbered. 22/300 125/300 numbered on the left corner and signed on the right. Girl with Duck from the series The children and wildlife by Andres Pruna. Set of Gold Plated stainless steel flat wear. 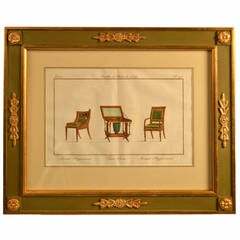 Set of four Chippendale framed design book engravings, circa 1760 Origin: France circa 1760 Measurements: 21 3/4" W x 17 3/8" H.
Framed handcolored engraving of Interior Design sketches. 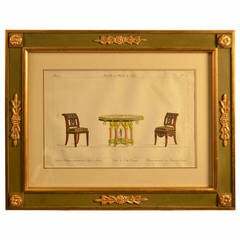 Matted and framed in gold leaf and olive green, with corner rosettes and raised floral motifs. 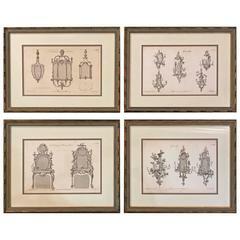 Framed handcolored engraving of interior design sketches. 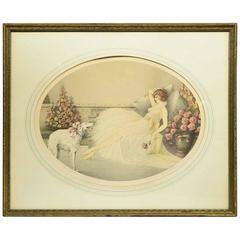 Matted and framed in gold-leaf and olive green, with corner rosettes and raised floral motifs. 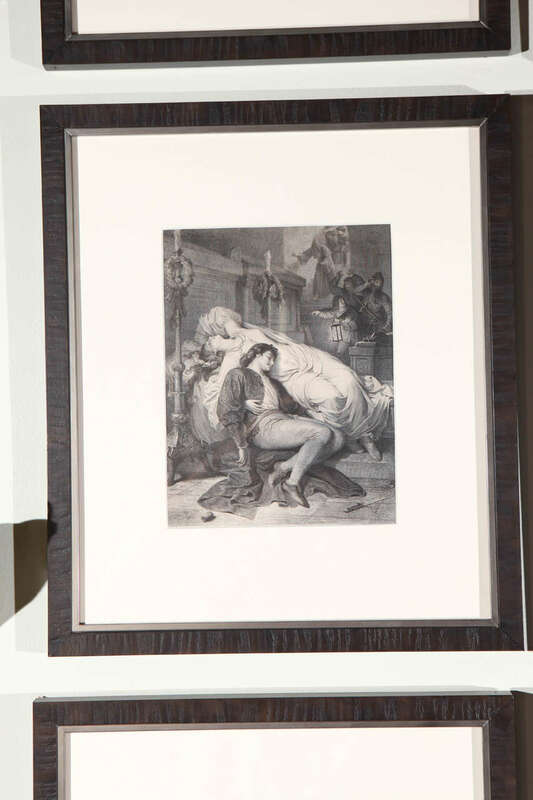 18th century framed fashion engraving. Gilding on frame is damaged (see picture). 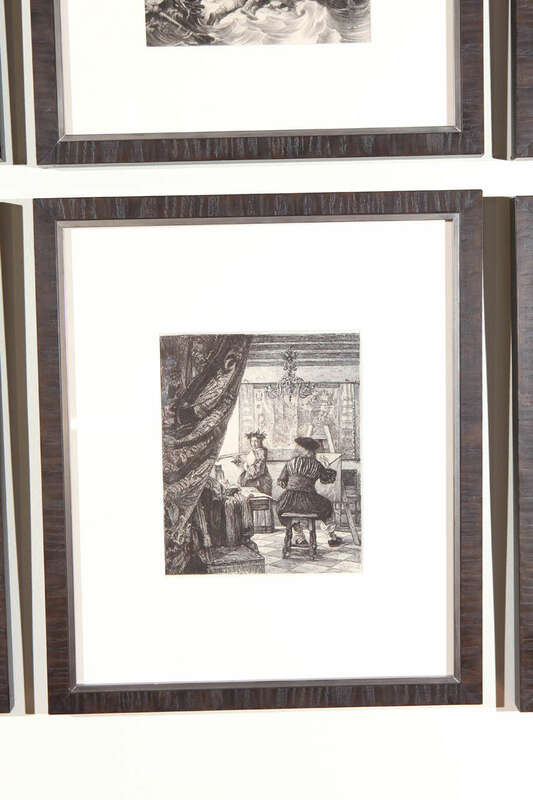 18th century framed fashion engraving of a woman with a plume feather hat with fan and a walking stick.